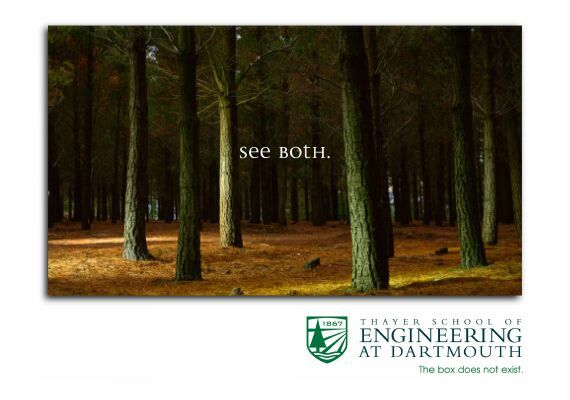 Thayer School of Engineering at Dartmouth | Cognitive Marketing Inc.
To develop a brand strategy and visual identity for Thayer School which would allow this smallest of top-flight engineering schools to compete more effectively with the biggest of them. Leverage the reputation of Dartmouth College, while reclaiming ownership of the cross-disciplinary curricular philosophy established by the school’s founder, Sylvanus Thayer. 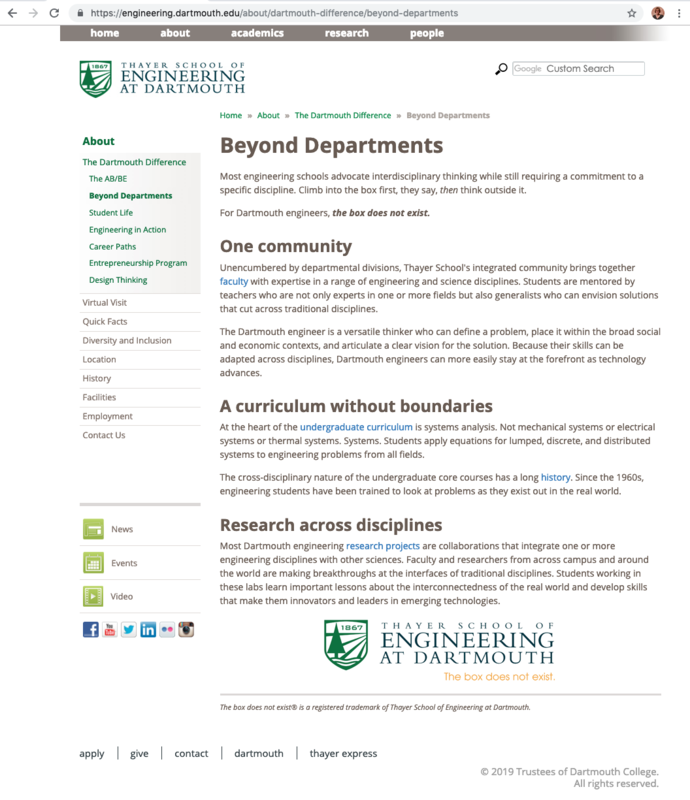 The image (shown here) of a page from the Thayer School website reveals the brand philosophy and distinctive position, which is encapsulated in the School’s brand signature: The box does not exist. The Thayer School logo was designed to symbolize the creative process of engineering, while also being compatible with the Dartmouth College logo and the logos of the other schools: the Geisel School of Medicine, the Guarini School of Graduate and Advanced Studies, and the Tuck School of Business. Each of these familial logos is contained within a shield shape, and features an image of the lone pine tree and the Connecticut River.